1957: Here comes another 50th! Following is an announcement of the 50th reunion of HHS '57Mark your calendar. Thanks to Lynn Hammer, HHS '57. 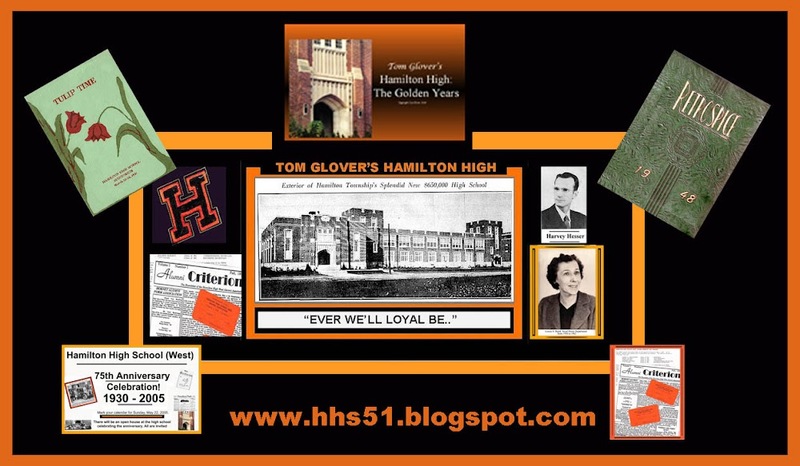 The Hamilton High School class of 1957 will hold their 50th reunion on September 22, 2007 at the Knights of Columbus in Hamilton. Anyone who wishes to help on the reunion committee, or update their address, can email HH57Reunion@aol.com or call Jerry DePew at 587-5047.